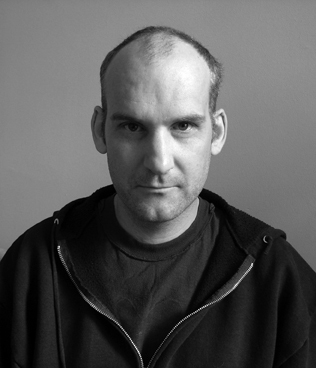 Earlier this week, I heard one of my personal heroes, Ian Mackaye, deliver a Q+A session at the UCSD campus. Ian, for the uninitiated, is a pioneering figure in independent music — founding member and singer of seminal punk bands Minor Threat and Fugazi, as well as current singer of The Evens, and one of the co-owners of Dischord Records. I have never heard Ian in this particular setting, but I knew he was sharp from the in between song banter I’ve heard from him during past Fugazi concerts — for example, urging crowd surfers to do something truly radical and, instead of crushing the fans up in the front, to try getting passed to the back of the audience instead. On this particular evening, Ian showed up without an agenda — he opened up the floor to any and all questions the audience had. Questions ranged from the silly (“Who would win in a potato sack race between you and Henry Rollins?” — which, by the way, Rollins would probably win; clearly, the man does many push-ups) to the political (e.g., the current election, war, etc.) and, of course, the musical (in case you’re wondering, Ian has been listening to Eddy Current Suppression Ring lately). I’ve always been a music guy. Not a musician (I would never consider myself a guitarist), but someone who loves, appreciates and lives in music. Naturally, one of the major gateways to faith in Christ for me was the music. Even though the late 80s/early 90s music vibe was crazy cheesy in the churches in was a part of, there was something particular that happened when we would sing to God together. Music is a common language we can all speak, and how much more true and beautiful should those songs be when we are intimately connected with the One who is life. As Ian said, music is sacred, it is serious. Too often, in church, music is a warm-up for the sermon (which, we all know, is the real reason we’re supposed to be there) or as kind of spiritual muzak (non-intrusive background white noise so that people won’t have to deal with any silence). If we put our stake in the church as the people of God joining together in God’s work in the world — rather than church as a building, institution or destination — then our songs will reflect that investment. I want to be part of a church community that sings powerful songs — and not just because we’ve cranked up the chorus/delay effects on the electric guitar (thanks, The Edge!). Our songs are much, much more than just the melodies and rhythms we’re creating but they are, in a very real sense, the expression of our life together. When we love God deeply, when we’re caught up in the things on God’s heart, when we love living life together, our songs will begin to take on a different weight. During Call+Response, Justin Dillon (the director) tells a great story about the civil rights movement, where although the odds seemed insurmountable, those who stood on the side of civil rights knew they would win because they had a better song.